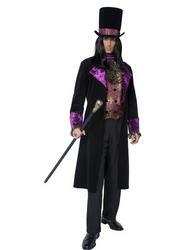 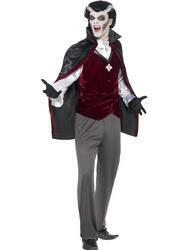 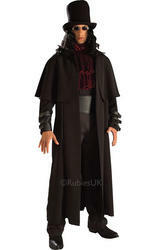 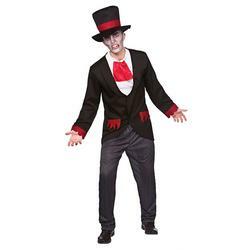 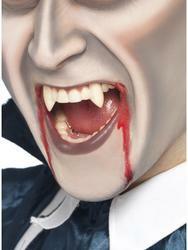 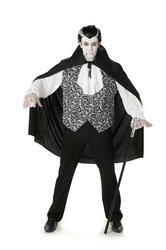 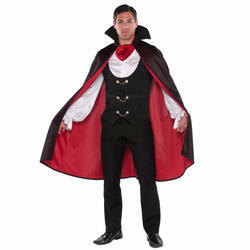 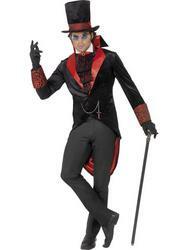 Mens Dracula & Vampires Fancy Dress Costumes are blood suckingly good as a Halloween outfit and with the current success of TV shows such as the Vampire Diaries and films like Twilight; Vampires are making a frighteningly good comeback this year. 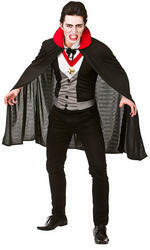 As well as the classic Halloween ideas such as a Vampire costume we also stock Count Bloodthirst and quality Dracula fancy dress for a truly terrifying recreation of the all time favourite characters we see appearing on our screens. 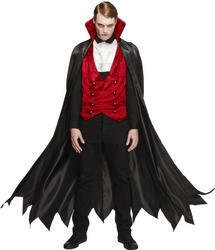 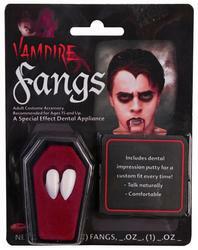 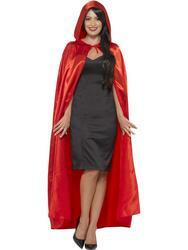 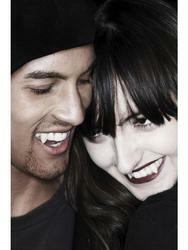 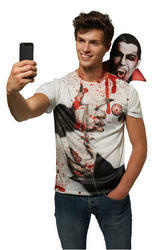 Get your fangs into our stylish classic Vampire costume and recreate the look of Edward Cullen from the infamous vampire film Twilight and youre guaranteed to never be short of a neck to bite, infact girls will practically be giving you their necks when you disguise yourself with our Royal Vampire fancy dress outfit. 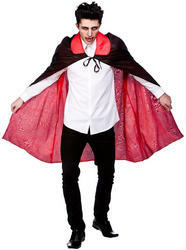 So why not turn yourself into an evil blood sucker with our terrifying collection of Mens blood thirsty Dracula & Vampires costumes to your next Halloween fancy dress party.